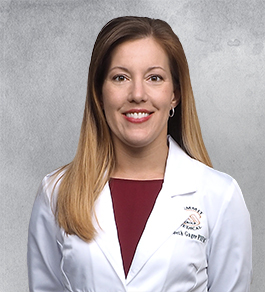 Elizabeth Gager, Board Certified Family Nurse Practitioner, was born in Bristol, Tenn. She moved to Knoxville in 2000 and joined Internal Medicine Associates in May 2011. She received her nursing degree from East Tennessee State University and her master’s family nurse practitioner degree from Lincoln Memorial University. Elizabeth is Board Certified as a family nurse practitioner by the American Nurses Credentialing Center, and also in clinical research. She resides in Knoxville with her husband and son, and she enjoys spending time with family, traveling and running/fitness. © 2017 Internal Medicine Associates. All rights reserved.